Columbus Day marks the day when Christopher Columbus, or Cristobal Colon, arrived in the Americas on October 12th 1492, in the Bahamas. 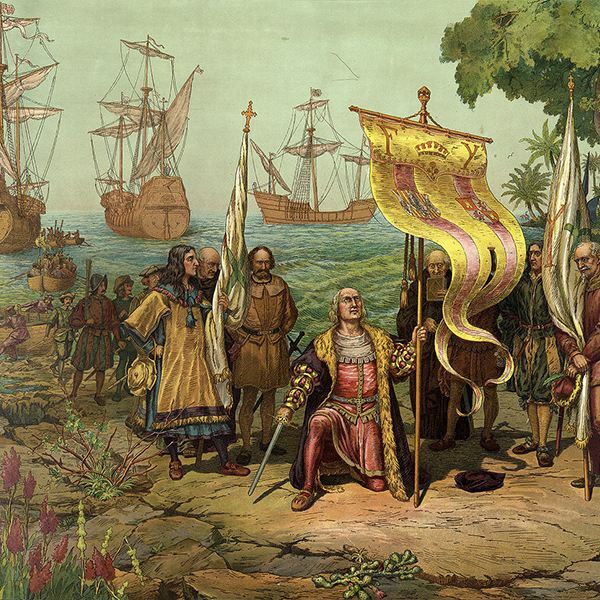 The day of Columbus’s arrival has been viewed with controversy since the very beginning, because some people assert that the day is synonymous with bigotry and the cruelty with which Columbus treated the natives when he arrived in the Americas. The day when Columbus landed is celebrated in different ways, varying from place to place due to the different interpretations that people give to the day of the discovery. Many Italian-Americans observe this day as a day of their heritage, although the date selected varies because of the use of the Julian Calendar was common back then. Some countries commemorate the day on October 12 based on the old calendar, but others celebrate it on the 21 due to the calendar reformations. United States of America: Columbus Day is celebrated in different ways across the Country. States like California or Hawaii don’t commemorate the arrival of Columbus but instead they pay homage to the original aboriginal cultures, by doing a powwow feast. In the case of Hawaii they celebrate the Discovery Day because Christopher Columbus didn’t have a direct history with the islands. Colombia: It’s celebrated but is more of a day of observance and is not called Columbus Day but Día De La Raza (trans. Day of the Ethnic). On this day schools and business are open and so are federal organizations. In schools students are taught about the discovery and the exploitation of the richness of the Americas. The knowledge is imparted appropriately according to the age of the students. Venezuela: Commemorates the day with an opposition day named Día de la Resistencia Indigena (trans. The Day of the Indigenous Resistance). This day commemorates the opposition that the aborigines gave to the Conquistadors. This was created when a group of Indians claimed the day of Columbus was a celebration of the genocide of their people. The day was first celebrated when a 100-year-old statue of Columbus was torn apart in 2004 to proclaim social equality. Chile: The name of the celebration is called Día de Descubrimiento entre dos Mundos (trans. Day of Discovery Between two Worlds). It has been celebrated since 1923 and it’s celebrated the second Monday of October. Spain: In Spain this holiday is celebrated as the Hispanic Celebration or Fiesta de la Hispanidad, and it’s a celebration of the diversity of the Hispanic community around the world. Mexico: Mexicans celebrate and honor the cultural syncretism of their country by exposing the best created by their multiple heritages and indigenous culture. If you want to learn about the Day of the Discovery read these books: Christopher Columbus: In Their Own Words or The Life of Christopher Columbus, These are some of many examples you can find through the net if you want to learn more about the history and how people view this portion of the past.